Dahi Baingan is a dish belonging to the North Indian Cuisine.It is basically an Eggplant/Brinjal dish in which the Eggplant is cooked in a spiced Yoghurt base.Frankly speaking,I have a strong dislike for Brinjals(Though I love its Purpley Violet colour),I just cant seem to like the taste of this vegetable.But when I had lots of Brinjals sitting in my refrigerator,I thought I had to make something different than the usual Brinjal Sambar or stir fry.Thats when my neighbour gave me this recipe.I tried it out and it turned out really good.To my surprise my kids loved it too . Dahi Baingan is a creamy curry that goes really well with Steamed white Rice or even with Rotis. Ginger (grated) – 1 tsp. Kashmiri chilli powder – 1 tsp. In a bowl, mix yogurt, chilli powder, coriander powder, saunf/aniseed, salt, coriander leaves and green chilies and keep aside. Heat oil in a pan, add cumin seeds,the add grated ginger and chopped onions and saute till onion turns soft. Now add turmeric powder and saute. Now add the cubed brinjals and cook on medium high flame for 3 -4 minutes. Cover with a lid and let them cook on medium low flame for 15 minutes. Keep checking in between and stir fry to ensure the brinjals don’t burn or stick to the pan. Add the tomatoes and saute. Cook for another 3 minutes. Add a cup of water and bring to a boil and reduce the flame. Again cover with lid and cook over low flame for 15 minutes. Add the yogurt mixture and combine. Allow the curry to cook till you achieve a thick gravy consistency. Add garam masala powder and kasuri methi and gently mix. Turn off heat. Serve with rice or rotis and Enjoy! 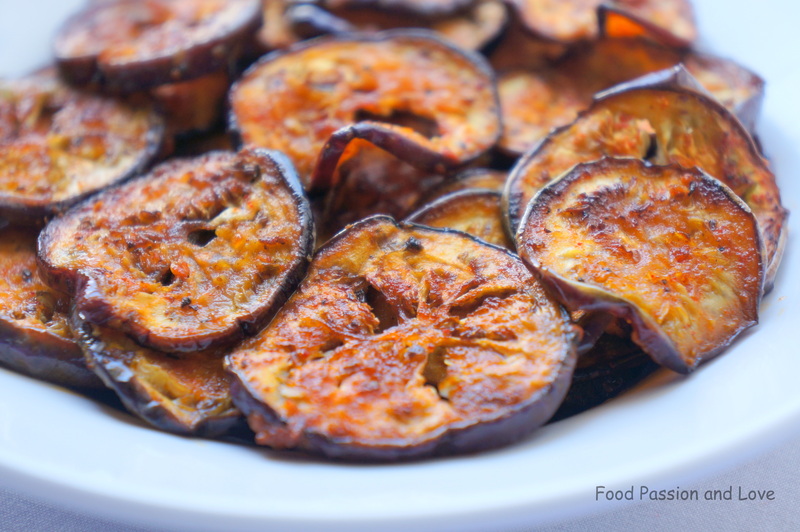 This entry was posted in Uncategorized and tagged Brinjal, Chapathi side dish, Dahi, Eggplant, North Indian Dish, Oriya style Dahi Baingan, Recipes using Brinjal. Hello there!Hope your weekend was good and you had a good rest 🙂 Well mine was a hectic one as usual…! Week ends are those very busy days for me..with kids running around..everywhere..guests visiting..and ofcourse church!So I dont get much time to cook and usually adjust with some easy to make dishes.. 🙂 So today I happened to have a lot of Brinjals/Eggplant in my veggie tray..Now now..Brinjal is not my kind of veggie 😦 And I mostly buy them only to use them in preparing Sambar…But today I had way too many Eggplants..So I decided to relive those care free,good old Chennai Memories! Well coming to Chennai memories,I was newly married..the year 2006..and I was working at that time..and This was one of those side dishes I used to prepare when I was in a hurry..Ofcourse I used to wake up late,hurry burry,prepare rice,and this dish along with curd/Yoghurt..then I used to rush to my site 🙂 This was one delicious side dish…the taste used to linger on your tongue for quite some time even after you had finished your lunch ages ago!And now after 8 long years ,with 3 kids..so many changes in my life..I still remember that delicious dish!Now I usually prepare this during the Easter Lent when I dont take any Non Veg Food.There is one reason for this.Ours is a family which consumes fish 3 times a day 🙂 (Now dont laugh at me)..This dish,though completely vegetarian has a very similar taste to fish fry..may be beacause of the similarity in its masala 🙂 So we have this as a sidedish for lunch and dinner during the times of Lent! So let me tell you one thing..Are you in a hurry?Only got 8-10 minutes to spare for cooking a side dish for lunch?Then this is the dish for you!Believe me!You will really love it to the core,even if you are not a Eggplant/Brinjal Lover !! Oil for shallow frying the Brinjal/Egg plants. Marinate the Eggplant/Brinjal slices with Red Chilli Powder,Turmeric Powder,Crushed Black Pepper,Fenugreek Powder,Lime juice and Salt and leave aside for 5 minutes. Heat oil in a pan and place the marinated Eggplant slices and fry them on both sides till browned evenly on low flame. Transfer to a serving plate and Serve with Hot steamed rice and Moru/Curd and Enjoy! 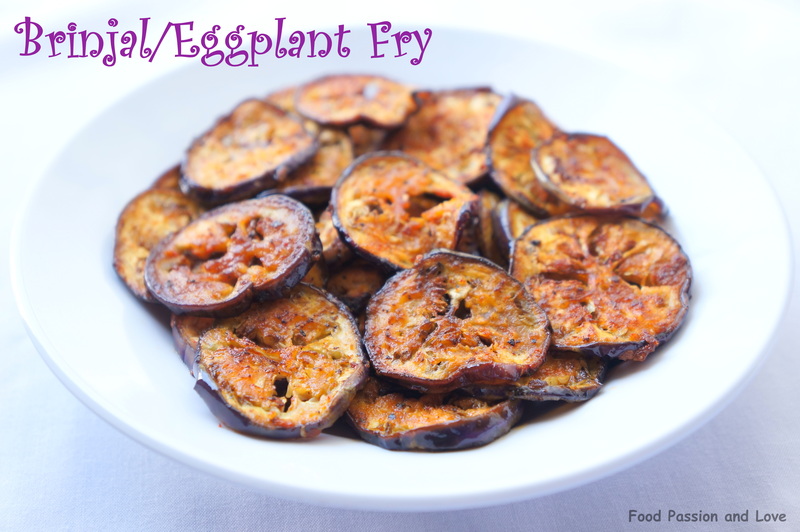 This entry was posted in Uncategorized and tagged Brinjal, Easy, Eggplant, Fry, Quick dish, Rice side dish, Side Dish.